This inspiring story is just one example of the large number of initiatives from the hotel and catering sector. Such as that of the famous Michelin star chef Heinz Winkler who, for example, is taking on refugees as apprentices, or the Komarek family, which only opened its Hotel Schani at Vienna Central Station in April this year and announced "24/7 hot meals for refugees arriving at the station" on its Facebook page. Top chefs are taking on refugees as apprentices, hotel restaurants are offering hot food to refugees arriving on trains, and 5-star hotels are making space for refugees. All for their own gain, as critics are sarcastically claiming? Or are they genuine contributions? 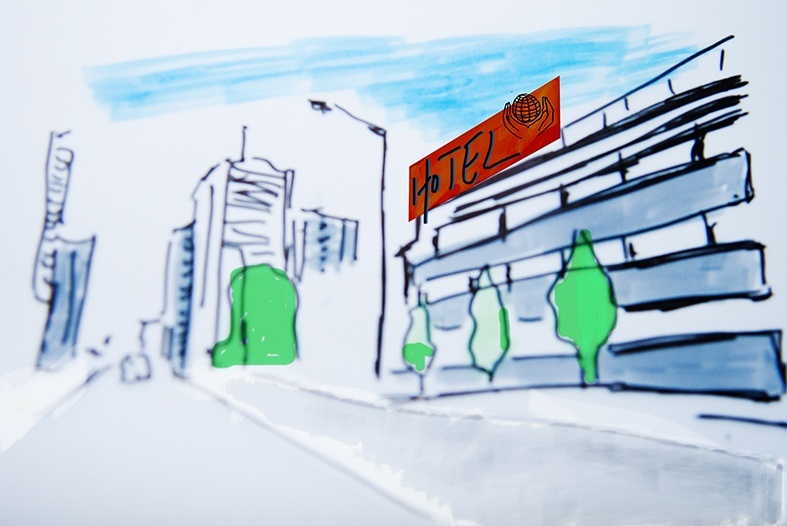 What are hotel owners actually doing for refugees? Where can these people, arriving on our borders seeking shelter, be housed? One of the most urgent necessities for refugees arriving in a foreign country is a new home. We investigated the options available for housing refugees and are still looking for more examples of inspiring housing schemes. Today, Hotel Mado is home to 130 refugees and managed to so with the aid of the city's housing office. To make the transformation happen, it had to convert a lot of its interior spaces and say a big good bye – as shown on its homepage: "We are very sorry to announce that we are no longer able to accommodate our regular customers. We make this announcement with both a smile and a tear, because it hasn't been easy to decide to give up the hotel business with all its highs and lows after nearly 20 years. A good 80% of our staff have decided to stay with us and continue to put their faith in our business. We are still operating as Hotel Mado and strive to make our residents feel welcome and at home, and to find ways to further the integration of refugees." So, even though there may sometimes be a level of self-interest involved, even 5-star hotels are now dedicating their spare capacities to refugees. According to the magazine "gastronomie & hotellerie", H-Hotels (formerly Hospitality Alliance) are planning to take its Ramada Hotels in Frankfurt/Oder and in Hahnenklee/Harz off the hotel market and turn them into housing for the hundreds of Syrian refugees in these cities. The magazine further reports that, according to H-Hotel spokeswoman Iliane Dingel-Padberg, the hotel chain even plans to up the number of hotel staff at hotels such as the Ramada Hahnenklee in order to do so. However, the question that naturally arises is whether the hotels in question are simply hotels that, due to the need for major improvements and/or poor sales are no longer fit for ordinary business anyway? Regardless of the above, it is perhaps more important still to note that these initiatives mean that refugees are offered housing. If you know of any inspiring initiatives, get in touch with us, we'd love to spread the word! More information on what to take into account when employing refugees.